In 2018 there will not be a Queen's Speech in Parliament. In 2017, following the General Election, it was announced that there would be a two year Parliamentary session 2017-19. The reasons publicly given for this were set out by the government' s announcement of Saturday 17th June 2017. A two year session was considered necessary to "give MPs enough time to fully consider the laws required to make Britain ready for Brexit" and "the EU exit process and the government’s domestic agenda mean the new Parliament faces a substantial legislative programme." The 2 year term appears to have been a decision taken by the government alone. Parliamentary sessions are normally of one year duration but a two year session arose from 2010-12 for reasons set out HERE. There were also 2 year sessions in 1949, 1925 and 1915. One of the basic constitutional requirements in the UK is that for a Bill to become law it had to be approved by both Houses of Parliament and receive the Royal Assent. This basic position is modified by the Parliament Acts of 1911 and 1949 which, although rarely used, provide a way, set out in statute, of solving disagreement between the Commons and the Lords. The Parliament Act 1911, as amended by the 1949 Act, provides that a public bill (other than a money bill or a bill extending the maximum duration of a parliament) introduced originally in the House of Commons and passed by the Commons in two successive sessions, with at least one year between the first Commons second reading and the Commons third reading in the second session, can be presented for Royal Assent by the Commons. Any bill certified by the Speaker as a money bill, which is not then passed by the House of Lords unamended within one month after they receive it, can be presented for Royal Assent without the Lords’ agreement, unless the Commons direct that it should not be presented. 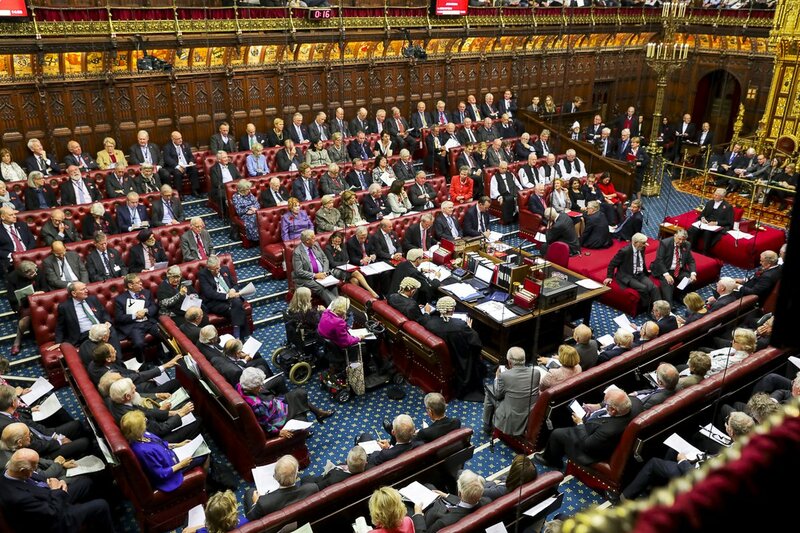 As the European Union (Withdrawal) Bill approaches its final stages in the House of Commons it is worth looking at how things might play out in the House of Lords should it transpire that the Lords reject the Bill. In the Commons, the Bill had its second reading on 11th September 2017. The present session of Parliament will last until the summer recess in 2019 and it would not be possible to apply the Parliament Acts to the Withdrawal Bill because of the requirement in the Acts for there to be "two consecutive sessions." As things currently stand, the UK will leave the EU on 29th March 2019. The Constitutional Background and Historical Context of the Parliament Act 1911 is set out in the speech of Lord Bingham of Cornhill in Jackson v Attorney General  UKHL 56 at paras. 9 to 20. In para 19 Lord Bingham said - "The Parliament Bill was again introduced in the House of Commons by the Prime Minister on 21 February 1911. It was approved by a large majority on each of its three readings, the third of these on 15 May 1911. On 23 May it reached the House of Lords, which had meanwhile been considering alternative proposals. The Bill was debated at length in the Lords, and was very heavily amended before its return to the Commons. But by this time, if not before, the Conservative leaders knew of the King's willingness, if need be, to create enough peers to secure passage of the Bill and of the government's determination to secure passage of the Bill by that means if no other way was open. In the Commons, the Lords' amendments were almost all rejected. On its return to the Lords, with a threat that rejection must be followed by "a large and prompt creation of peers", the Bill was passed by the Lords on 10 August and the royal assent was given, with the consent of both Houses, eight days later." Could history repeat itself? New peers are created from time-to-time and their creation is a Royal Prerogative power. There have been reports that new peers might be created early in 2018 - Express 29th October 2017. Whether such claims are correct remains to be seen - and we may not have to wait long! It could certainly be tempting for the Prime Minister to want further peers who are likely to vote in favour of the Withdrawal Bill. At present, the political make-up of the Lords is 248 Conservative peers, 198 Labour, 100 Liberal Democrat and 182 Crossbench. An interesting question arises in this context given that the government's decision to have a 2 year session has rendered the Parliament Acts unusable for the Withdrawal Bill. 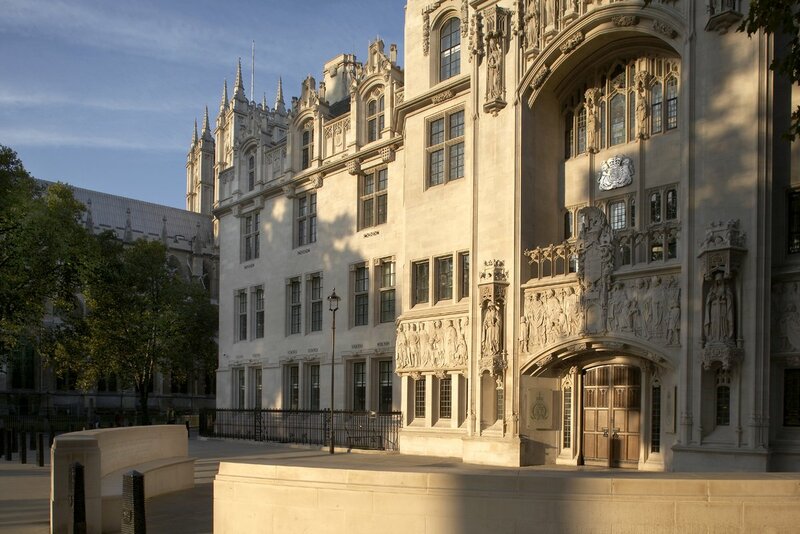 Would the government be acting lawfully if it used the prerogative power to create peers to ensure the passage of the Withdrawal Bill when there is ordinarily a statutory mechanism in place for resolving disagreements between the two Houses? A further question is whether the Lords will adhere to the so-called Salisbury Convention (or Salisbury-Addison convention). This convention emerged from the working arrangements reached during the Labour Government of 1945-51, when the fifth Marquess of Salisbury was the Leader of the Conservative Opposition in the Lords. In practice, the convention means that the Lords does not try to vote down at second or third reading, a Government Bill mentioned in an election manifesto. The Convention amounts to the House of Lords choosing not to oppose the implementation of government manifesto commitments for which the government has a “mandate” from the electorate. This post of 19th May 2017 looked at Brexit and the Party manifestos. Whether or not the Lords should adhere to the Salisbury Convention in the circumstances of the present Parliament is a highly debatable political question and was authoritatively discussed by Professor Mark Elliott of Cambridge University on his Public Law for Everyone blog - HERE. Professor Elliott's article was 10th June 2017 and predates the confidence and supply deal between the Conservative Party and the DUP which arose following the General Election in which the Conservatives lost seats in the House of Commons - Earlier posts here and here. For my part, though it is not possible to be certain, I suspect the political calculus will dictate that the "will of the people" argument (based on the 2016 referendum) trumps any desire of the Lords to be unduly awkward about the Withdrawal Bill. We shall see! The European Union (Withdrawal) Bill has its REPORT stage in the Commons on 16th January 2018. Amendment of the Bill is possible. Third reading will follow and after that it will proceed to the Lords. Interesting times lie ahead. The House of Lords has already done considerable detailed Brexit-related work via the EU Select Committee and its other committees and sub-committees. See also the work of the Constitution Committee which recently took evidence on the Withdrawal Bill. The Committee's Interim Report on the Withdrawal Bill is HERE.